Content marketing is one of the keys to increase business revenue and drive results by SEO ranking, reaching to more customers. The quality content creates brand awareness, reach your target audience and make you an industry leader. Last year, the average small-to-midsize business(SMB) spend monthly $2000K – 10,000K on web content marketing to drive better business results. XCTEQ aims to create highly technical content for tech users. What kind of content XCTEQ Produce? – Cloud-based DevOps and testing tools integration. – Integrating Non-Functional testing with CI/CD pipelines. Why use XCTEQ Services and not cheap writers? There are millions of freelance writers available to produce content for your website, you can easily get writers in less price online. However, cheap content won’t drive better results. In recent days, clients not only pay attention to the content but also who created it. The authors should be expert in the area of content they deliver. 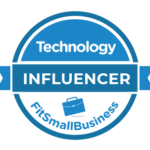 As XCTEQ, nominated as a top technology leader in 2018 by FitSmallBusiness, we are thought leaders in the technology and developer tools space. We speak at the conferences, organise local meetups to share best industry practices. XCTEQ has its own blog( XCBlog) which has average 15-20K monthly readers. We explore new tools, technologies, best practices in the market with pilot projects before anyone else. In short, XCTEQ creates unique content that nobody has created before. What are the packages available? Per post or Per package? XCTEQ works on per piece or per package basis. You can choose the plan according to your content need and budget. It’s always recommended to get the package. Check Out our pricing plans for posts and packages. How Does Pay per piece work? XCTEQ will announce the array of hot blog posts/video/webinar in advance and reach out to the potential clients. Once the client happy to accept it as a guest blog/webinar/videos then we will deliver content to the client. The blog posts will be announced looking at the IT trends, hot topics and emerging technologies. We will reach out to you if we think, content would be good for your products. How Does Monthly package work? In the monthly package, XCTEQ will agree with the client to deliver X number of content assets per month. We will work out the content plan and deliver it accordingly. XCTEQ is flexible to deal with monthly packages. Who owns the content and how about reposting? Once content is delivered and paid it’s owned by the client, however XCTEQ reserve rights to repost the content on XCBlog, we will link back to client website or put some client’s promotional items in the post. We will also recommend readers to check out the original articles on the client’s website/blog. XCTEQ will never post paid content anywhere else apart from XCBlog. As a client, you are free to re-post the content on any suitable websites for marketing purpose. How XCTEQ work with your competitors? As a content production company, we have to treat all the client equally and respectfully. However, complexity arises when dealing with the client’s competitors. When you buy a package, XCTEQ won’t work with your top direct competitor (only one or max two) during the period of contract or package. We will limit the competitors (one or max two) top competitor otherwise, it will limit XCTEQ’s ability to do business effectively. XCTEQ respect confidentiality and client’s business, in any circumstance, we won’t share data, secrets with a competitor. In order to assure our client, we will have a strong legal non-disclosure agreement (NDA) or confidential agreement(CA) to protect ourselves. If any client asks for competitors information, XCTEQ reserve the right to terminate the contract immediately. XCTEQ will produce the content to boost your productivity and educate users with the latest trends. The content produced by us based on real-world data and facts. We are happy to create promotional posts for our clients. However, XCTEQ reserve rights to decline contents which can cause confusion among the readers. XCTEQ reserve rights to reject misleading content of any kinds. XCTEQ can only create quality content in the area we are expert in, if you have custom requirements, we have to agree on the content plan from both side on a regular basis. How is editing/rewording process look like? We understand that editing the blog post takes time. Once the blog post is delivered, you might have a suggestion to change the wording and re-write some part as per your marketing needs. We will do 1 round of edits for free. In terms of grammar and spell check, we will re-read blog post multiple times and run the blog post through automated tools like Grammarly and try to remove all possible errors from the post. What tools do we use for writing and collaborating? We are happy to use any tool of your choice as long as we got access to it. Google docs are a good way to share/edit articles but we won’t get Grammarly support in Google Docs. We will happy to create content in your CMS itself and submit for review to speed up the things. XCTEQ is flexible in the tools to use for writing. Want to know our pricing plans for tech content creation?